public.10 However, they are now far from being the only ones in the Bierbrand game. J. Rieger and Co. from Kansas city has created a series of spirits called Left For Dead, which features unwanted beers from neighboring Boulevard Brewery.11 In my own current distillery, Deep Ellum, we have begun to experiment with distilling beers from our sister brewery, and we hope to have something to market soon. With so many local craft breweries and distilleries popping up, it’s no wonder collaborations have begun to occur. It may be only a matter of time until liquor stores around the United States start adding an aisle specifically for Bierbrand. 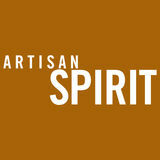 Reade A. Huddleston is Head Distiller at Deep Ellum Distillery in Dallas, Texas. He received his Masters Degree in Brewing and Distilling Sciences from Heriot-Watt University, and is fascinated with all things drinkable. If you would like to contact him about Bierbrand, or any other strange and forgotten spirit, please email him at ReadeHuddleston@gmail.com. Ellis, Williams. 1737. The London and Country Brewer. J. & J. Fox. London. Lemery, M.L., 1745. A Treaty of All Sorts of Foods, Drinkables. T. Osborne. London. Council Regulation, 1989. Council Regulation (EEC) No. 1576/80. Available from < http://www.wipo.int/wipolex/en/text.jsp?file_ id=126926#JD_EU030_15> [April 16, 2018]. 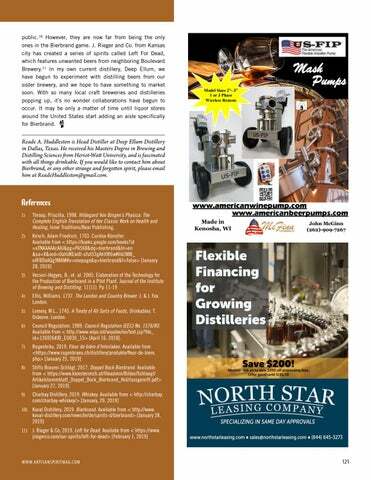 Flexible Financing for Growing Distilleries Save $200! 10)	Koval Distillery, 2019. Bierbrand. Available from < http://www. 11)	J. Rieger & Co, 2019. Left for Dead. Availabe from < https://www.